This week’s spotlight is all about stadiums, Soccer Specific Stadiums to be exact. 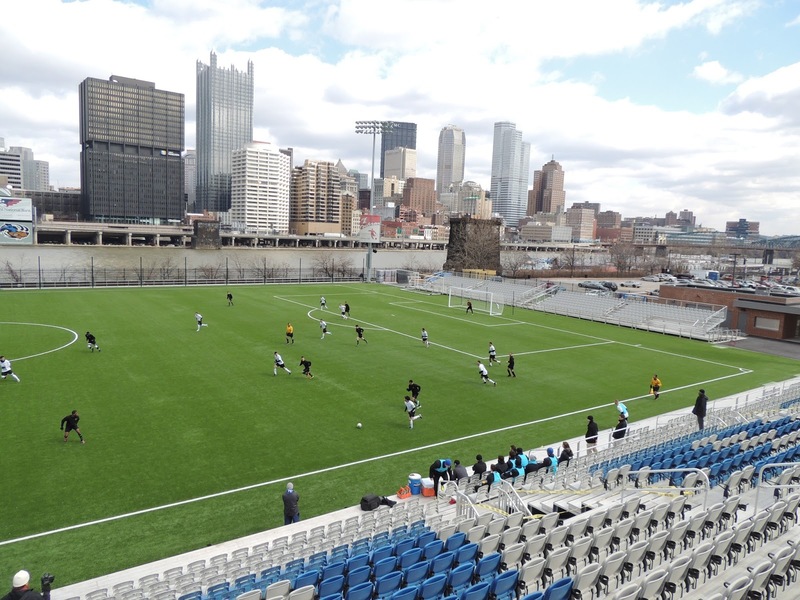 This past week The Pittsburgh Riverhounds opened up their new Soccer Specific Stadium, Highmark Stadium against the Harrisburgh City Islanders in front of a sold-out crowd. Although the Riverhounds lost the game 2-1, it was still a memorable night as they christened their brand-new downtown Pittsburgh stadium. 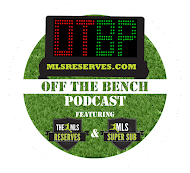 So in honor of USL Pro’s newest Soccer Specific Stadium, I thought I would put together an article profiling the other Soccer Specific Stadiums already in the league. I contacted club officials at each of the clubs and found out some pretty interesting information about each of the them. 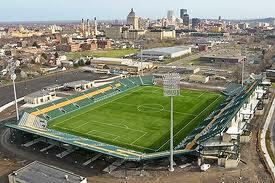 Let us take a closer look at the other Soccer Specific Stadiums in USL Pro. Largest soccer crowd: 5,634 for US Women’s National Team match against Mexico in 2002. US won 7-0. Expansion up to: Possible expansion up to 10,000, if it was closed off on the ends with bleachers. Who were some key individuals behind the stadium project: Team owner since its inception, Tony Dakker. Are there any plans to refurbish or expand current stadium: No current plans to expand however they have added several new features over the years including; a practice field located immediately behind the main stadium complex, solar panels and geothermal HVAC. Field surface: Natural grass. It is a specialized sports turf using two types of seed for Summer and Winter months. Interesting fact is that the surface has never been re-laid. They are still working on the original turn that was laid back in 1999. Bravo to great maintenance work and South Carolina weather. Dedicated supporters section, How big? Yes. It is home to “The Regiment” - Section E 10 – space for 250 supporters. Are there any interesting features on or in the stadium grounds that set it apart from others: It was the first SSS in the modern era of the United States. Yes, you read that right. 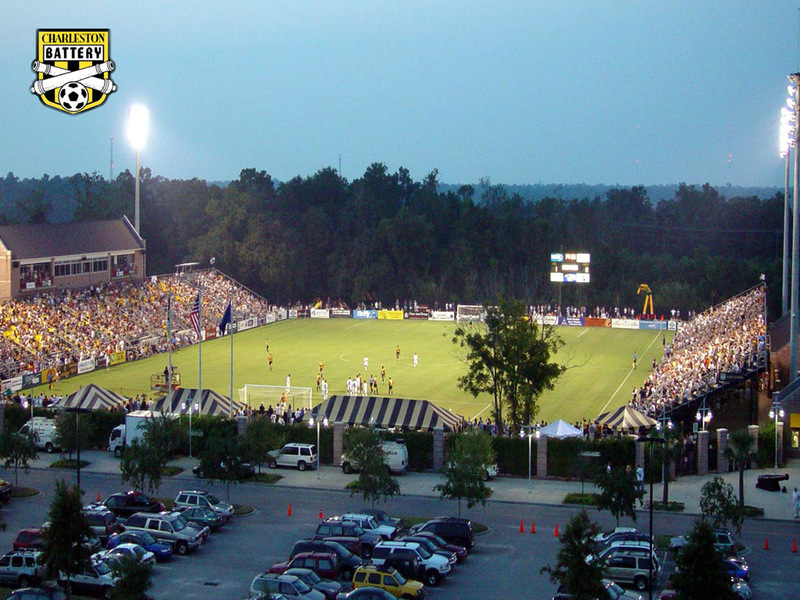 It was opened about 2 weeks before Columbus Crew Stadium, something the Battery feel very proud of and rightfully so. Another interesting note was that the first victory in the stadium was recorded against the Atlanta Silverbacks, now of NASL. However, the crown jewel of the stadium is located on the 2nd floor. There you will find the Members Only 3 Lions Club, an English-style soccer pub open on game day to members which has a unique collection of soccer memorabilia. The collection was amassed by principal owner Tony Bakker, many of the items have been recently donated by players. You can find such items as: Signed Jerseys by David Beckham, Pele, and even the Jersey worn by Gary Lineker on his last appearance for England in 1992. It is essentially both a shrine to Soccer worldwide and in a sorts a museum as well. For even more info on the 3 Lions Club check out a great piece by Steven Goff (@Soccerinsider) from 2011. Largest crowd: Abby first match at Sahlem stadium between the Western NY Flash and magicJack in the old WPSL. However, Abby Wambach, a Rochester native, did not appear in the game due to a foot injury. Any other residents: Western NY Flash (National Women’s Soccer League), Rochester Rattlers (Major League Lacrosse), Section V football October through Nov. Expansion up to: Capable of bringing in extra bleachers for a total 15,000 for special events. The stadium is also capable of a full build-out that could accommodate up to 21 or 22 thousand, however, this would be a significant construction project but the footprint could support it. Any MLS expansion capability: Yes could fit the requirement for MLS stadium size. Club is happy where it is but would consider the jump if good opportunity arose. Was it a privately, public or public-privately funded: Combination of both. How much did it cost: Roughly about 35 million. Originally about 32 million but have since added 14 suites for about 2 million dollars and brand-new locker room facilities for half a million in 2011.
Who were some key individuals in the stadium construction project: Steve Rossi, Chris Economides, Steve Donner, and Pat Ercoli. Sahlem Stadium is a unique multi-sport and multi-event venue. Sahlem Stadium, along with a number of MLS stadiums, is part of the Stadium Alliance to get concerts and other entertainment events at the stadium. It has great potential to gain exposure for the stadium and it’s teams as well as generate revenue for the stadium when it is not in use for Soccer games. Home to arguably the best downtown city skyline in the nation. The stadium has fantastic sightlines to downtown Pittsburgh. There is a Bar and Bistro that is located on field level with great indoor and outdoor seating complete with glass walls in order to take full advantage of the play on the field as well as the view behind it. In addition, the Jumbotron is a top quality technology filled screen capable of offering tie-ins to in stadium cameras as well as offering the fans in attendance instant replays for action on the field. Outside of the stadium is the cultural epi-center of Pittburgh. Highmark is located in Station Square, a vibrant cultural area complete with great dining, nightlife and entertainment. There are plenty of nearby colleges to keep the area alive with energy. This is just the type of crowd and energy that has made so many MLS markets a success. love the pittsburgh section and your descriptions! didnt know the plans to expand to 6,000 after this season... big news! Might have to visit Pittsburgh sooner than I thought! I was in HS for the home opener, great view, atmosphere amazing!! That is good to know about expansion to 6,000! Anyone planning to visit, you'll love it all! Was at the River Hounds home opener loved it. Hoping other soccer fans in Pittsburgh catch the excitement. I just couldn't depart your website before suggesting that I extremely enjoyed the standard info a person supply for your guests?lunette ray ban pas cher Is gonna be again continuously in order to check up on new posts. Awesome blog, Get the best Search Engine Optimization Services by Ogen Infosystem in Delhi, India.